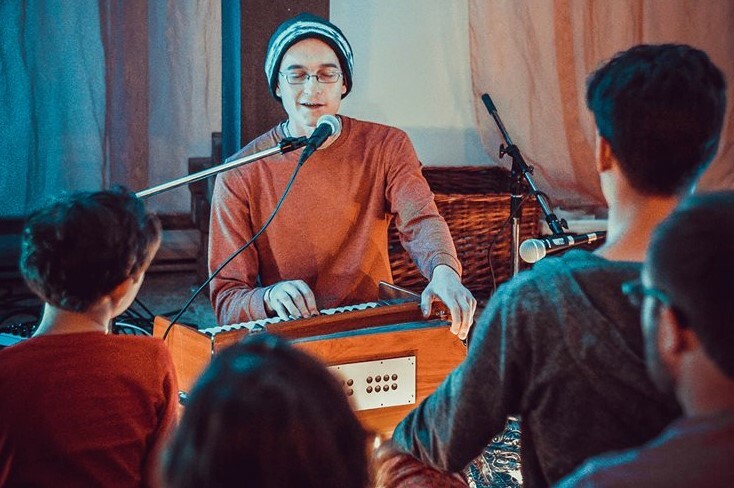 Kirtan Training will present basic skills for voice, harmonium, kartals and an introduction to mrdanga (drum). The intention will be to understand the roles of each instrument and how they cooperate to create different moods while chanting. We will also explore the origins of kirtan from Bhakti Yoga, both historically and philosophically. Kirtan Training will be 9 classes. In order to give the needed amount of attention to each student, there are only 9 spots available. To enroll, each student must be willing to attend all 9 classes. If you are not able to do so but would still like to enroll in this training, please send us an email to discuss. Register soon before the class is full! The instructors for Kirtan Training are Krishna Prana, Brihat, Nitai and Hari. Each have many years experience playing all the traditional kirtan instruments. They look forward to personally helping you develop your kirtan skills.